Group protests suppression of most of Comptrollers' report on Israeli response to Waqf's Temple Mount damage. The State Comptroller has prepared a report on the wanton destruction caused by the Waqf on the Temple Mount, and on Israel’s response. The Committee to Prevent Destruction of Temple Mount Antiquities is up in arms that the lion’s share of the report will not be publicized. Attorney Yisrael Caspi of the above Committee responded on Arutz-7’s Hebrew news magazine to remarks by MK Otniel Shneller, who chairs the Knesset subcommittee that determined which parts of the Comptroller’s report may be publicized. 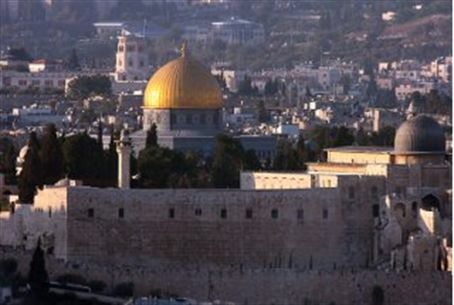 Shneller told Arutz 7 on Monday that the Waqf – the Muslim religious body that administers the Temple Mount site, Judaism’s holiest location and Islam’s third-holiest – caused much destruction to Temple Mount artifacts in the course of digging and building a mosque there. Caspi says this is not enough: “The report must be publicized in order to disclose the mistakes of the Olmert government that allowed the Waqf to operate on the Temple Mount freely… To censor the report because of ‘security’ considerations is a violation of previous promises made by the committee members. Shneller had said that other countries are very interested in the Temple Mount, indicating that if Israel releases the full report, it might result in other countries gaining a stronghold there. Caspi disagrees: “To say that releasing the report will unleash a storm of protest and ‘fire on the Temple Mount’ is simply a groundless scare-tactic." “Prime Minister Netanyahu must rise above himself,” Caspi said, “and demand that the report be released to the public. Many bodies are criticized in the report, such as the police, Jerusalem Municipality, the previous Attorney General, and the Justice Ministry – and if the many failings and faults are not revealed, they will not be able to be mended."